I am such a huge fan of cookies, well….almost any dessert for that matter. 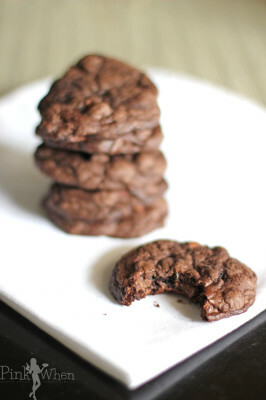 These Ultimate Chocolate Chunk Cookies are so moist, chewy, and delicious you will have to fight off the cravings to eat them all in one sitting. Not only are they a delicious chocolatey treat, but they are going to be one of your favorites! Step 2: Mix together in a medium bowl the flour, baking soda, and salt. Step 3: Carefully soften chocolate chips, butter, and vanilla flavoring in the microwave in 15 second increments, stirring in between, for one full minute. Step 4: Beat eggs and sugar together until light an fluffy. Step 5: Reduce blender speed and combine the melted chocolate chips, butter, vanilla, and slowly mix in the flour. Step 6: Add in the chocolate chunks and pecans until mixed. Step 7: Drop 1 tablespoon of dough onto cookie sheet, 2 – 3 inches apart and bake for 12-14 minutes, keeping your center soft and chewy. Allow to cool for 10 minutes before moving to a cooling rack to cool completely. 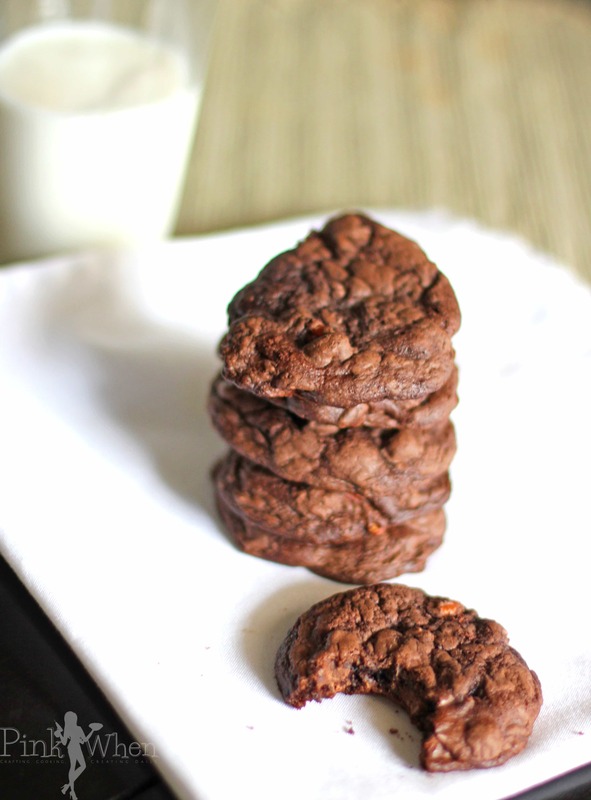 These cookies are seriously, AMAZINGLY delicious! If you are a cookie fan as much as I am, you are seriously going to be in cookie heaven! These cookies are so yummy, soft, and chewy. They have just the right amount of chocolate and just a little crunch from the pecans. You will love the way these turn out! Make sure you get you shopping lists together and make these delicious Ultimate Chocolate Chunk Cookies a try. A delicious ultimate chocolate chunk cookie recipe. Mix together in a medium bowl the flour, baking soda, and salt. Carefully soften chocolate chips, butter, and vanilla flavoring in the microwave in 15 second increments, stirring in between, for one full minute. Beat eggs and sugar together until light an fluffy. 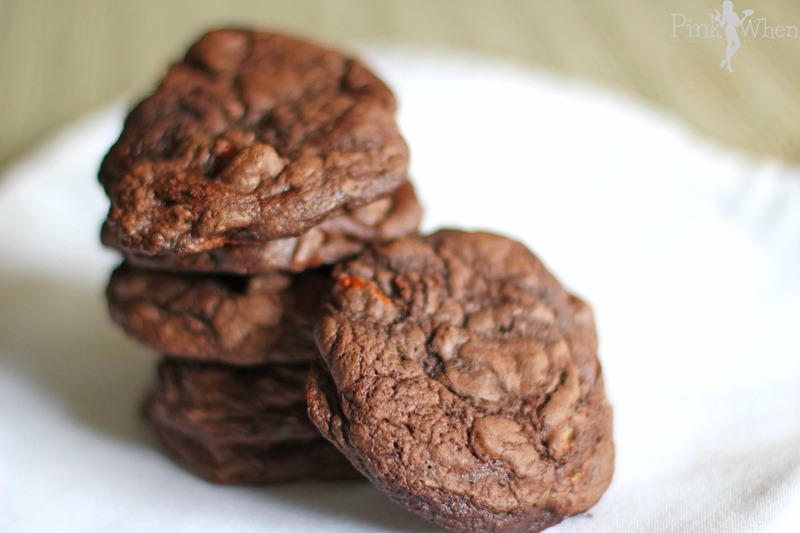 Reduce blender speed and combine the melted chocolate chips, butter, vanilla, and slowly mix in the flour. Add in the chocolate chunks and pecans until mixed. Drop 1 tablespoon of dough onto cookie sheet, 2 - 3 inches apart and bake for 12-14 minutes, keeping your center soft and chewy. Allow to cool for 10 minutes before moving to a cooling rack to cool completely. You have no idea how delicious these are! These would definitely be a huge hit here! They look so good! Oh my goodness, they are a HUGE hit here, too. So yummy! Winter better end soon because I’m spending way too much time checking out blogs for delicious things, and then making them, and then eating them. It’s not gonna be pretty when shorts season rolls around. That said – yum!! Haha! Well it’s been unseasonally cold here, too. I am ready for the Spring and Summer and shorts season. These freezing temps are killing me! I don’t bake very often, but when I do, it has to be something like this. I baked cookies over the weekend for a friend whose mother just passed. Now I’m thinking I’ll make her even more this coming weekend with this recipe. Those look really chunky! Thanks for sharing your recipe. Do you also take the photos? How could you be so good in making foods and taking photos? You have the gift.